It's been quite some time since we've taken a walk up Lion's Head. I chatted with Robynn (mentioned in the previous post) and she told me that she was up on Lion's Head earlier this month, when it was full moon. A lot of people walk up this "little mountain" at night, especially when it's full moon. 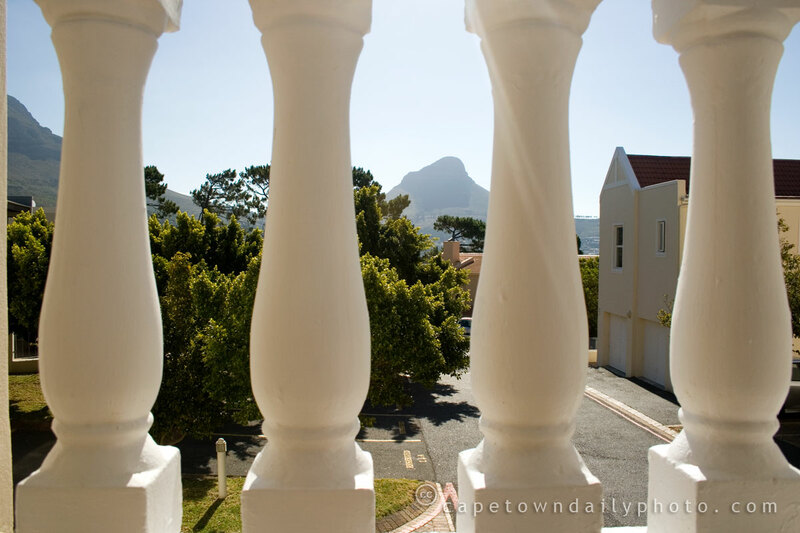 We've heard differing opinions on whether one should take a torch up Lion's Head when there's a full moon. Some say that if you use a torch, all you can see is the small area in front of you. Robynn was telling me though that there were plenty of people without torches, stumbling dangerously as they followed the circular route down the mountain. Although the full moon does provide a lot of light, the moon rises on one side of Lion's Head and creates a very dark shadow on the other until it gets overhead. So perhaps the safest option is to take a torch anyway, and decide as you're hiking whether you need it or not. Today's photo, with Lion's Head in the background, was taken at a farewell gathering at a friend's place for a couple visiting Cape Town from our sister-city, San Francisco. Thanks for visiting, Ray and Renee - and come again soon! Posted in Landscape and tagged lion's head on Sunday, 25 January, 2009 by Paul. I like what you are trying to do here with the website and wish you luck. I have had websites in the past and built them for city governments, mostly, but I get the most bang for the buck, so to speak, out of blogs. I just reworked my blogs so that they are totally unique.